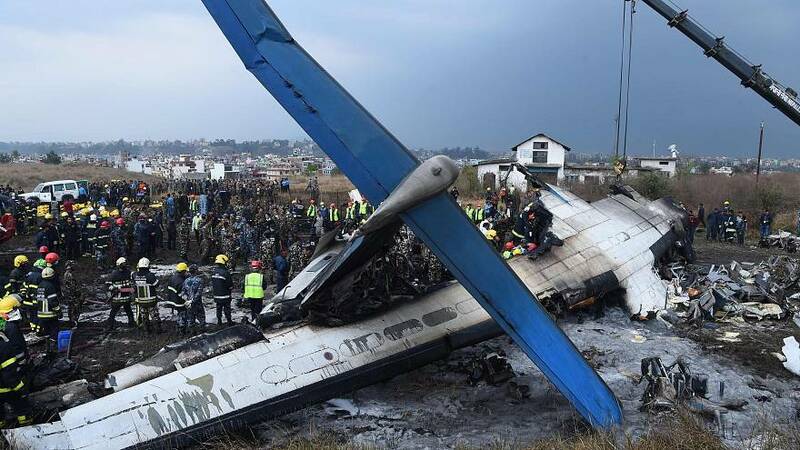 KATHMANDU, Nepal — An airline pilot "seemed to have an emotional breakdown" before a deadly crash last March, according to an investigation report into Nepal's worst aviation disaster in 26 years. US-Bangla Airlines Flight BS211 from Dhaka, Bangladesh, crashed on its second landing attempt at Kathmandu's Tribhuvan International Airport on March 12, 2018. The investigation report compiled by Nepalese officials and made available Monday said the probable cause of the crash was the pilot's disorientation and loss of situation awareness. "Landing was completed in a sheer desperation after sighting the runway, at very close proximity and very low altitude," it added. The 52-year-old pilot was also under stress and "emotionally disturbed" because he felt that a female colleague who was not on board the fatal flight had questioned his reputation as a good instructor, Nepal's Accident Investigation Commission said. Citing the voice recorder and the eyewitness accounts of passengers, the report said the pilot was smoking in the cockpit during the flight and "engaged in unnecessary, unprofessional and lengthy conversation even in the critical phase."